The Art Deco Society of New York is an organization dedicated “to preserving, protecting, and promoting the cultural, social, economic, environmental and architectural integrity of New York’s Art Deco masterpieces.” From the iconic Chrysler Building in Midtown Manhattan to an unassuming Department of Health office in Staten Island, ADSNY celebrates the optimism, style, and modernity embodied in Art Deco architecture. With a long-term goal of documenting every Art Deco structure in New York in their online registry and map (http://artdeco.org/explore/registry), the organization hopes to raise awareness and advocate for the preservation of this architectural heritage. 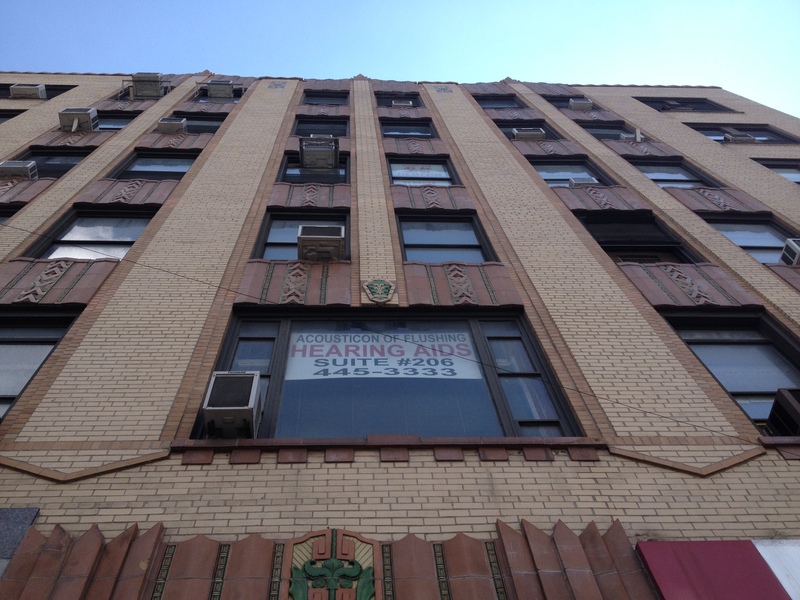 Beyond advocacy, ADSNY also runs the “Documenting Deco” educational program, in which students are exposed to Art Deco in their own neighborhoods and challenged to photograph them. This programming is bolstered by special events for members, such as a visit to the Kelly Gallery’s collection of decorative arts and design and a “Great Gatsby Boat Tour” of Long Island’s North Shore. 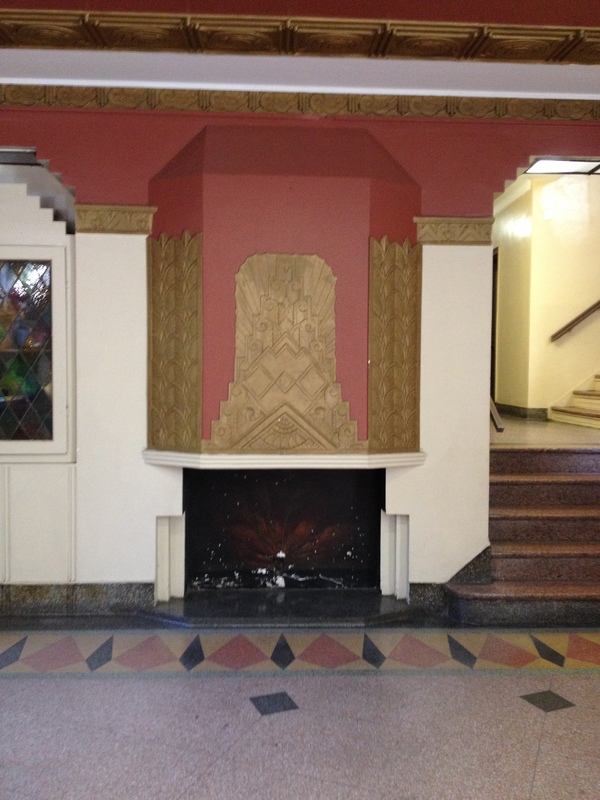 Entrance to The Golden Gate in Sunnyside, an apartment building designed by Israel Crausman and built in 1931. 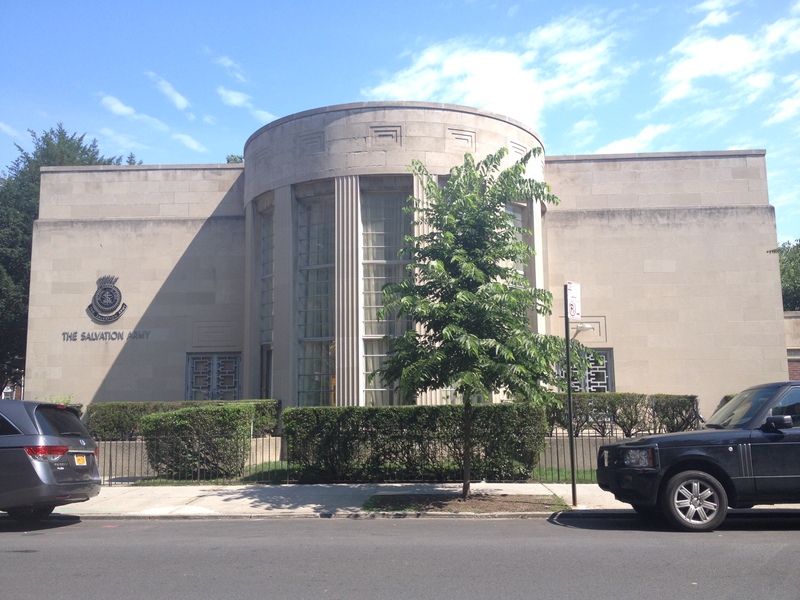 For my summer internship, I was charged with the task of identifying and documenting 45 buildings in Queens to be added to the Art Deco Society’s preexisting list of around 15 buildings in the borough. With a relatively low number of listed buildings for such a large portion of the city, Queens presented itself as a logical choice for a study area. 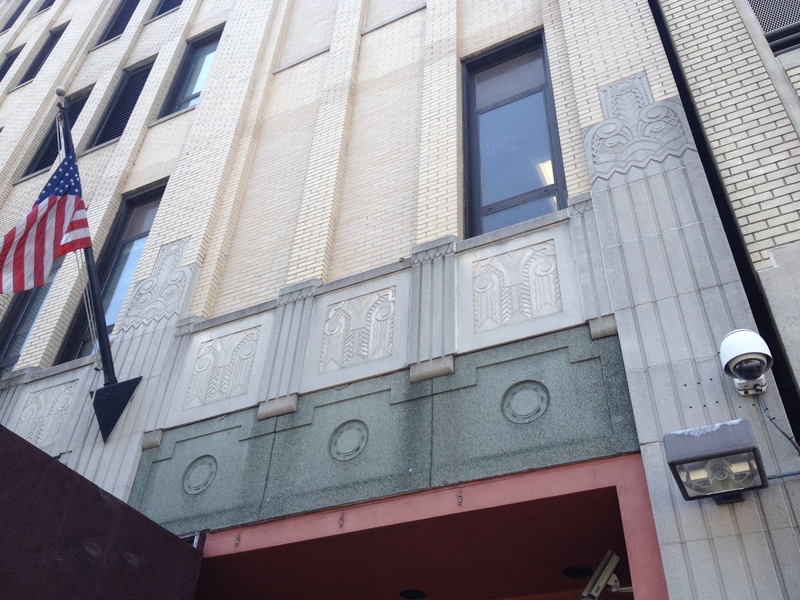 Additionally, the area’s unique history made it particularly likely that some hidden Art Deco gems would be unearthed. In the first half of the twentieth century, the construction of rapid transit lines pushed new residential development, along with accompanying commercial districts that served this new population, further into Queens. 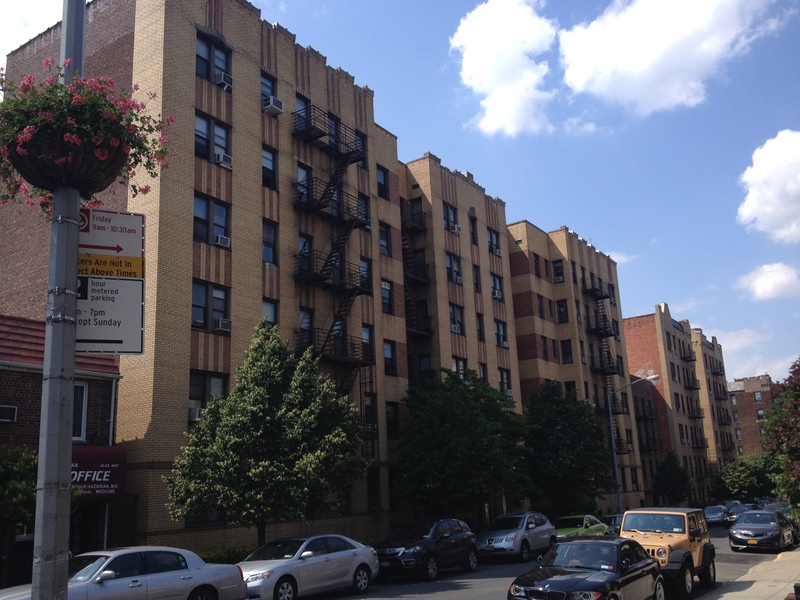 Between 1920 and 1940, the peak period of the Art Deco style, the population of Queens increased by 176%. Thus, we expected to find examples of Art Deco architecture scattered throughout the entire borough, from Long Island City to Little Neck. Art Deco flourishes found in the lobby of Beverly Hall, a Sunnyside apartment building built in 1936 by the Cohn Brothers. Instead of working out of the Art Deco Society’s headquarters at the Cooper Hewitt Design Museum on the Upper East Side, I was sent out into the “field” to work directly with the Queens Historical Society. From then on, my home base was with the historical society at Kingsland, an eighteenth century farmhouse sitting in a park located in the middle of Queens’ vibrant Flushing neighborhood. On my first day there, the Queens Historical Society’s Collections Manager and I spent three hours driving through the borough. 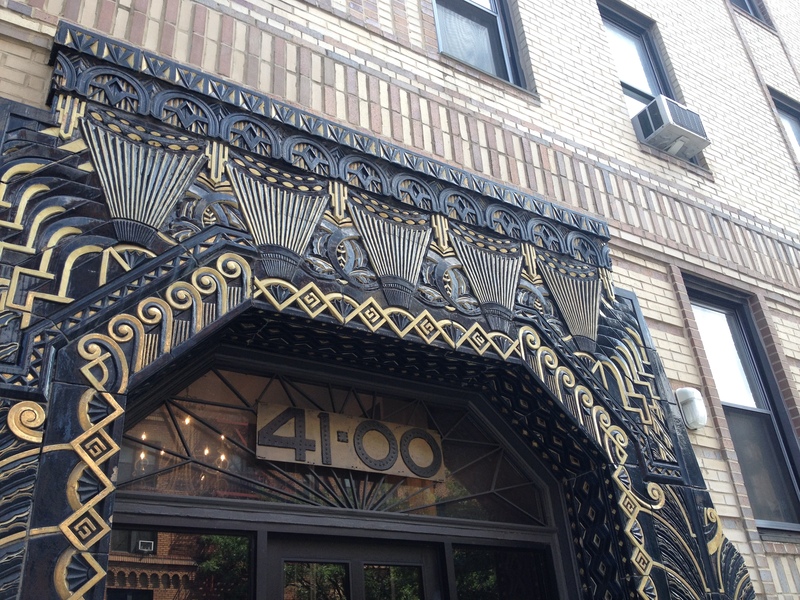 Following some leads we had, we scoured all of Queens looking for any signs of Art Deco. After traversing through the varied streets of this 109 square mile borough, we returned to Kingsland with a long list of buildings that exhibited some of the characteristics of Art Deco style. Entrance to the former Montgomery & Ward store in Jamaica. This building was designed by F.S. Marlowe and built in 1931. However, I immediately encountered a value judgement that I needed to make. While some buildings with a streamlined form, a strong sense of verticality, and stunning geometric patterns of terra cotta and terrazzo, were clearly Art Deco gems, other buildings merely featured a few elements of the style. Did rounded edges and some patterned brickwork on an otherwise workaday building warrant its inclusion on the Art Deco registry? Given the limited time of my internship, I decided to limit my scope to buildings that possessed a certain amount of elements listed on ADSNY’s “Art Deco Criteria” sheet. Yet, as I continued to discover more buildings, I realized that while these seemingly unremarkable buildings may not have possessed the Art Deco grandeur of the skyscrapers and apartment houses found in Manhattan, they nevertheless embodied the far-reaching popularity of the architectural style. I soon became fascinated as to what motivated residential and commercial developers to take on the extra expense of adding some Art Deco ornamentation to even the most unassuming structures on the side streets of Queens. Terra Cotta ornamentation on the 1930 Chamber of Commerce Building in Flushing. After prioritizing a first group of five buildings that warranted further exploration, I set out to photograph and see these structures up close. Starting in Flushing, I ventured to Jamaica, Forest Hills, Rego Park, and Sunnyside before circling back to Kingsland. Traveling through Queens by foot, bus, and subway, I began to see buildings that I had not noticed while in the car. I made note of these and added them to a growing spreadsheet and map of potential Art Deco buildings. The following week, I would set out with another set of five buildings to photograph. In addition to my observations, I also followed the leads of others. Interested individuals who had contacted the Art Deco Society, local organizations like the Rego Forest Preservation Council, and Landmarks Preservation Commission designation reports all aided me in my search for Deco. Concord Hall dates from 1940. This Sunnyside apartment building was designed by the firm of Kavy & Kavovitt. This process of discovery and documentation soon took on a cyclical form that led to many unexpected finds. For instance, the long walk from the F train to photograph the Queens Hospital Center led me through Briarwood, a residential neighborhood of wood frame houses built in the early twentieth century. Just as the humid New York summer began to make me regret my decision to walk, I spotted a large stone building with interesting geometric patterns sitting a few blocks away. investigating further, I found a public school boasting a treasure trove of subtle Art Deco features. The construction of this “modern” school building in this district of traditional homes demonstrated the ubiquity of the influence of Art Deco. Thus, I began to delve deeper into the borough’s overlooked neighborhoods to see what else I could find. The Art Deco ornamentation of The Young Women’s Leadership School stands out from its neighbors in Briarwood just as it did when it was built in 1928. While this fieldwork proved to be fascinating, a majority of my days were actually spent inside attempting to gather information on the histories of the growing number of buildings that I had photographed. I quickly became familiar with the archives staff at the Queens Department of Buildings, where I would visit twice a week to submit requests for information regarding the architect and year of construction for buildings of interest. I also spent many hours in the Long Island Room at the Queens Public Library, scrolling through microfilm of local newspapers to catch that rare article with valuable information, such as the 1933 article detailing the “modern” design of the new 104th Regiment Armory opening in the borough’s Jamaica neighborhood. Perhaps most fascinating to me was my day at the Queens Chamber of Commerce, where the staff allowed me to spend seven hours pouring over their monthly publications. Their annual building awards between 1920 and 1940 featured detailed descriptions and illustrations of a variety of buildings in the borough, which not only provided me with valuable information but also shed some light on Art Deco gems I had overlooked thus far. There were even exciting times when I left Queens and went back into Manhattan. The New York City Municipal Archives near City Hall boasts a huge collection of tax photographs from the 1930s that allowed me to discern some of the original features of the buildings I had identified as Art Deco. 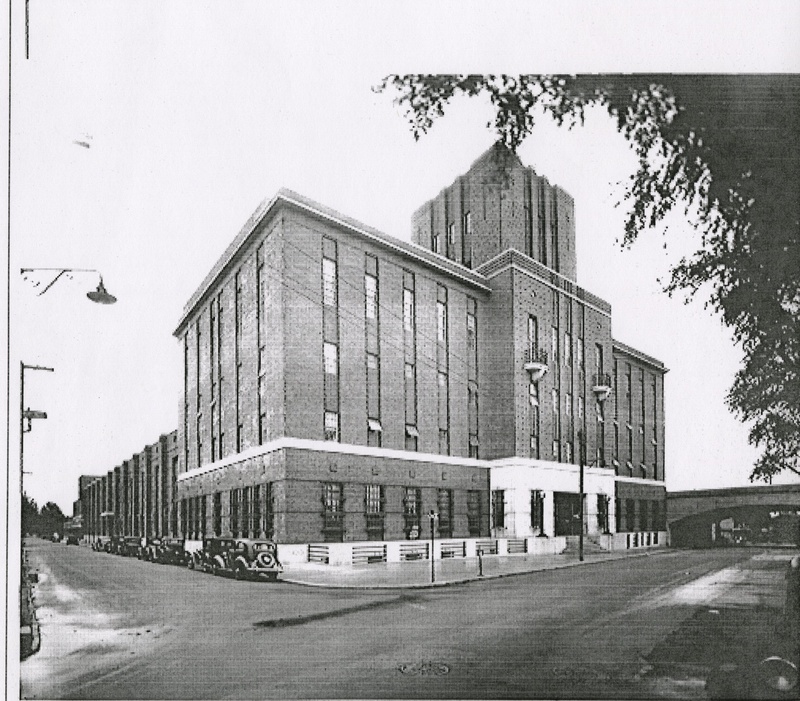 Historic photograph documenting the 104th Field Artillery Armory shortly after it was built in 1933. Designed by Charles Meyers, this building garnered much attention from the residents of Jamaica. At times, I felt overwhelmed by the proposed task discovering, documenting, and researching 45 buildings. Certainly, the work I started with the Art Deco Society of New York is far from done. While I ultimately identified 51 buildings for inclusion on the organization’s registry, I remained unable to attribute an architect or year of construction to many of them. Nonetheless, I believe that my efforts are an important first step in a larger campaign of education and advocacy for the unique architectural heritage of Queens. I envision ADSNY offering Art Deco tours of neighborhoods like Sunnyside, which boasts a particularly high concentration of beautiful apartment buildings from that era. The Queens Historical Society has also expressed interest in me presenting my findings to a local audience. Hopefully, programs like these will contribute to a widespread recognition of the importance of Queens’ Art Deco, ultimately laying the foundation for their long-term preservation. 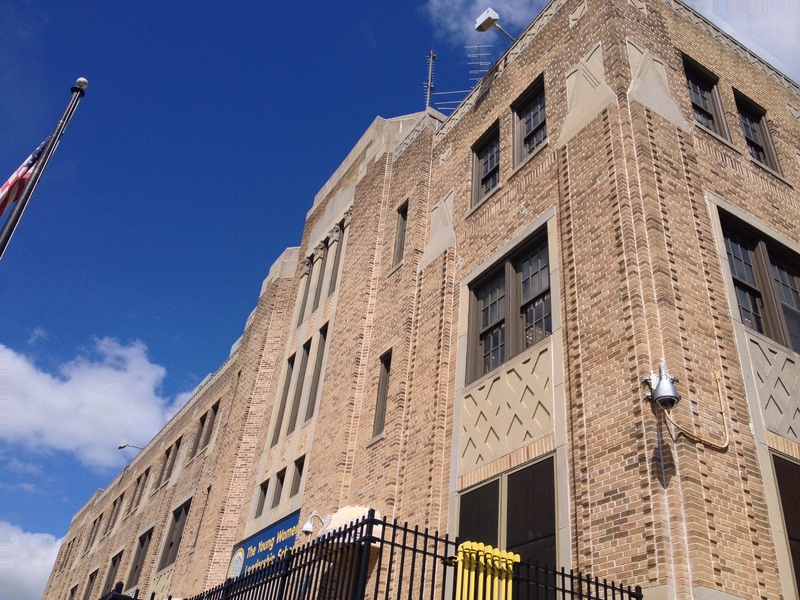 Although its 1952 construction puts it outside of the peak years of Art Deco, the Salvation Armory Community Center in Jackson Heights nonetheless displays many examples of Art Deco styling.